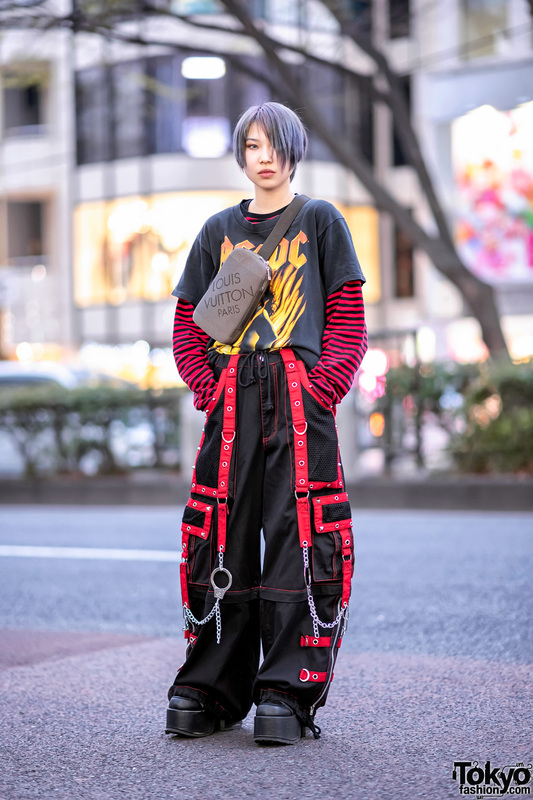 While out walking along the Harajuku street, we came across Yuki Nakajima, whose streetwear look easily caught our eye. 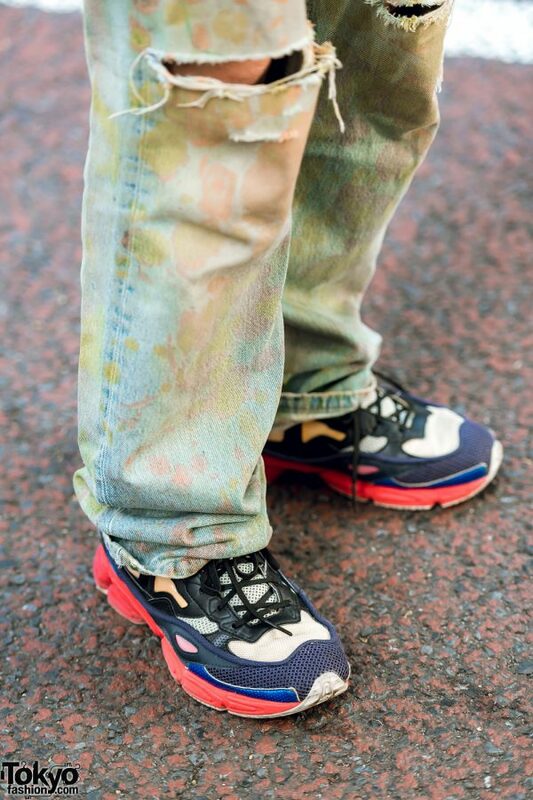 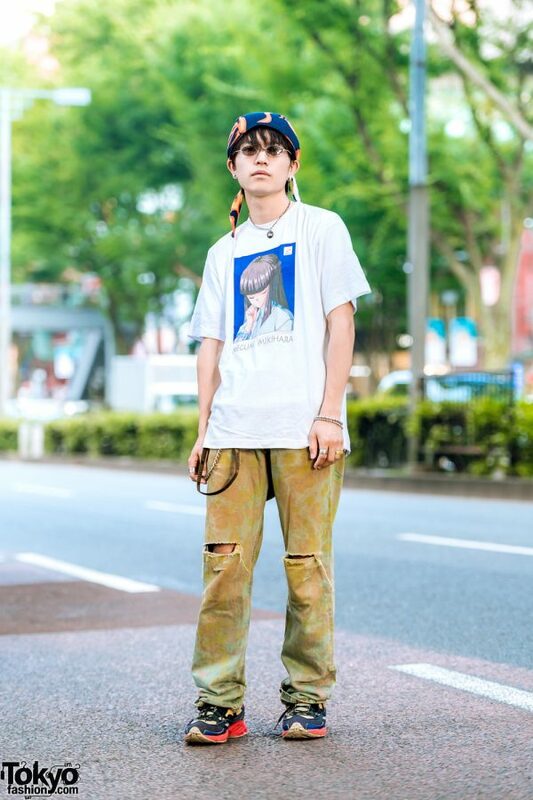 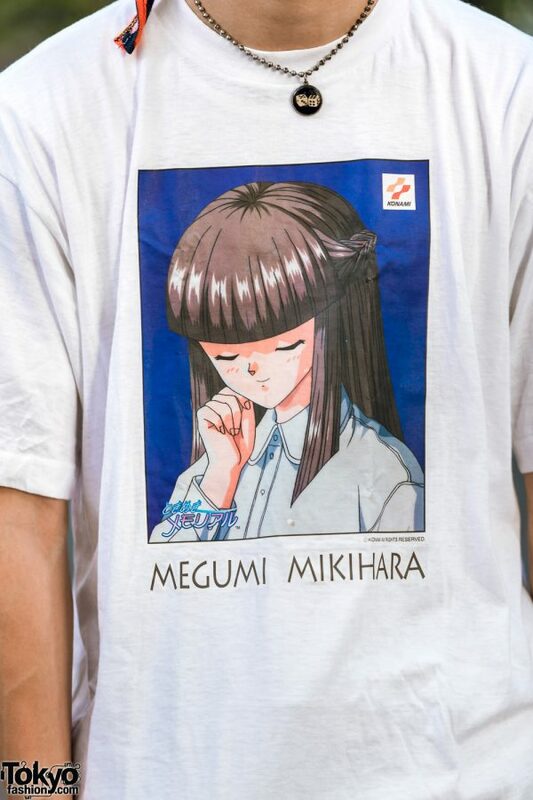 Sporting a flame print tied cap, Yuki is wearing a white Megumi Mikihara print t-shirt from Tokimeki Memorial, resale denim ripped jeans with printed paint splatters, and a pair of Raf Simons Ozweego colorblock sneakers. 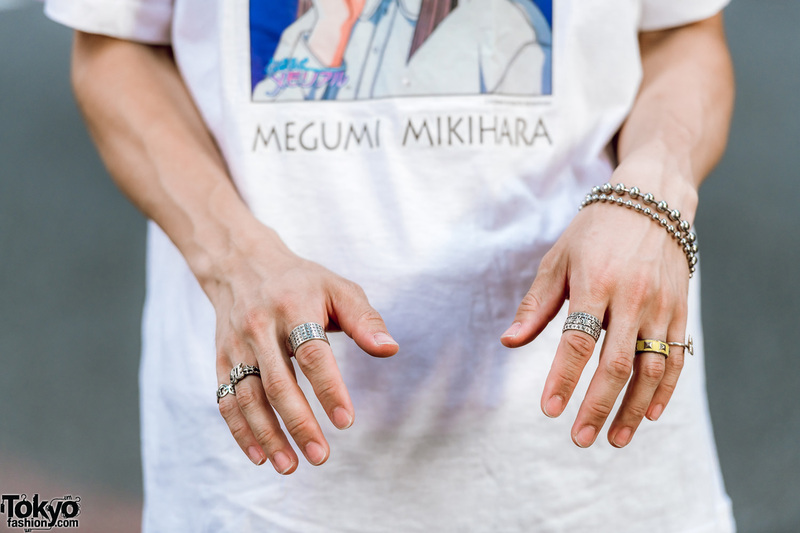 The 23-year-old rounded off his casual grungle style with sunglasses, silver ear studs, a ball chain necklace with a dice pendant, ball chain bracelets, silver chains and multiple knuckle rings. 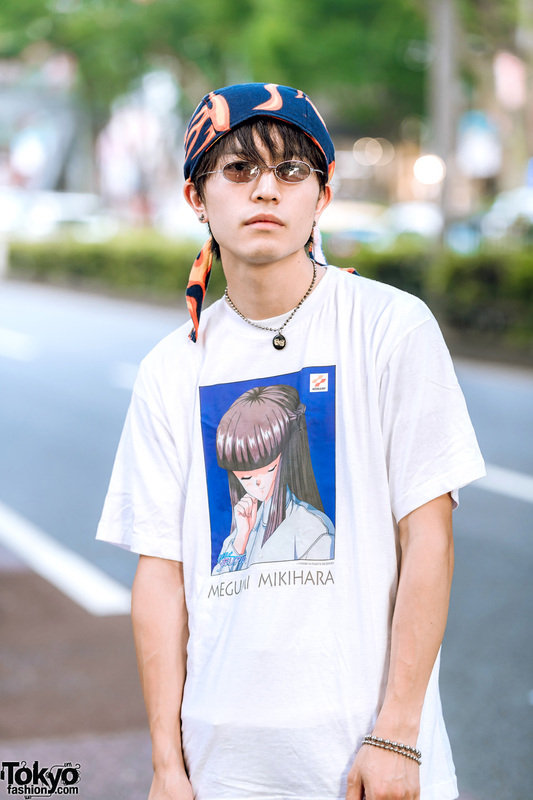 Yuki mentioned that his favorite fashion brand is Hysteric Glamour. For his social media updates, follow Yuki on Instagram.